Sufficient attic insulation is important in Franklin and other communities in Tennessee, as protection against the blistering summer heat and frigid winter temperatures that are so common to the region. Without adequate protection, your home may be subject to energy loss, temperature swings, and an overtaxed HVAC unit. That’s why the professionals at 31-W Insulation recommend checking your attic insulation periodically, adding to it or replacing it in order to make sure your home is well protected. 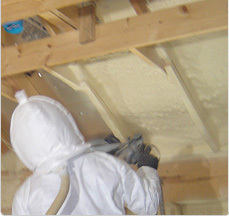 We offer foam insulation products from companies like CertainTeed, Demilec(USA), and cfiFoam, which not only provide your home with reliable energy savings, but also add to the structural integrity of your home thanks to its rigid design when dried. Tried and true fiberglass batts and rolls from Owens Corning that offer outstanding energy efficiency at affordable prices. Blown-in cellulose and fiberglass options from Owning Corning, which provides protection by covering the entire attic and filling in gaps and voids that are hard to reach with batts and rolls. Additionally, turning to the experts at 31-W for your insulation needs means you will receive products and service from some of the most experienced professionals in the industry. We’ve been serving the Southeastern United States by offering reliable home improvement products and services since 1972, and you can bet you will receive the same courteous service that has helped us earn an A+ rating from the Better Business Bureau. For more information about exceptional attic insulation products to protect your home in Franklin, TN, and surrounding areas from changing temperatures, contact us today.